Doc opens talking about the rebel in art, medicine and sports. Doc looks at examples from John McEnroe and Hugh Hefner. Doc welcomes Joey Buran, the Pipeline Slayer who talks about his rebellious nature and his journey to the top of the surfing world in 1984. He also talks about being the coach of the 2020 Tokyo Olympic Surf Team. Doc talks about his week of surfing with the dolphins. 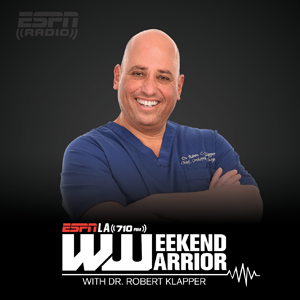 The Weekend Warrior Clinic opens for listeners.